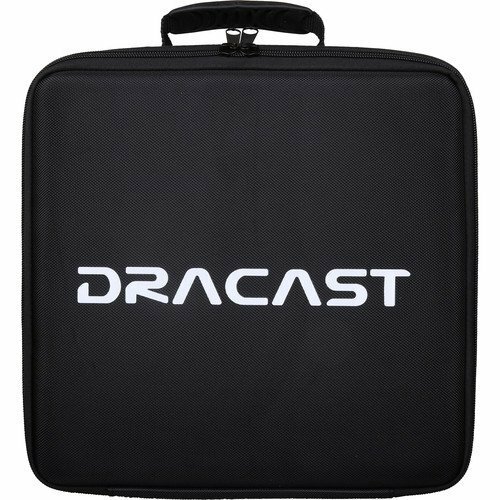 The S-Series Plus from Dracast gets major updates with the new S-Series Plus. 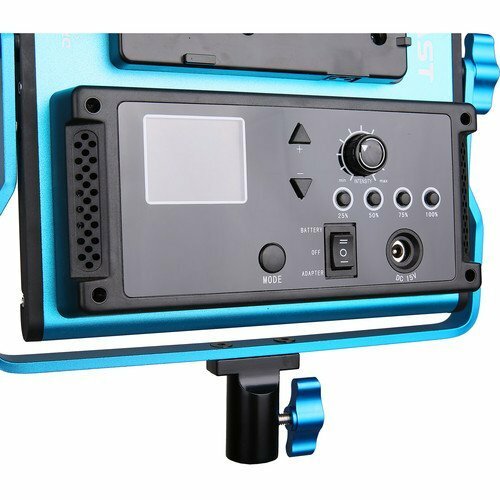 New features added to the S-Series Plus include dimmer presets on daylight models and color temperature presets on bicolor models. Additionally, the S-Series Plus has been upgraded to include grouping & linking features using Radio Frequency technology (RF) to communicate between units so that multiple lights can be controlled wirelessly with just one fixture. Adjustments to the dimmer and color temperature will control multiple fixtures up to 100′ feet away. 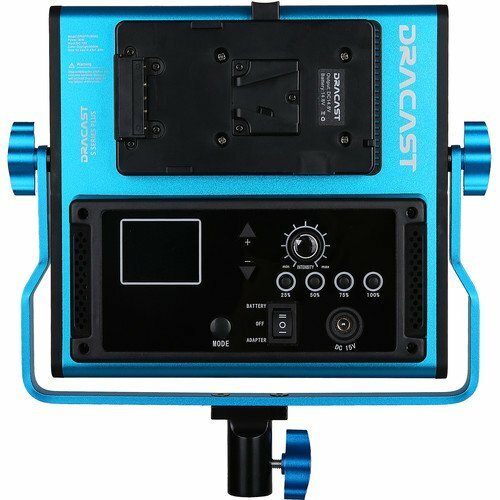 Featuring a slim and lightweight design, the S-Series Plus Daylight LED500 Panel with V-Mount Battery Plate from Dracast is an ideal choice for location work, interviews and small sets where color accuracy, control and flicker-free output are of major importance. 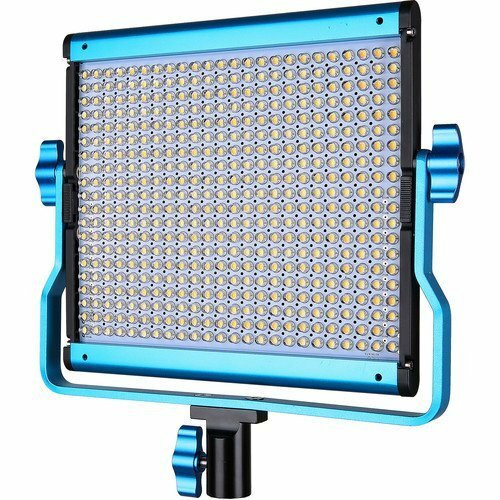 It has a solid color temperature of 5600K, making it a good choice for shooting outdoors or matching other daylight fixtures. 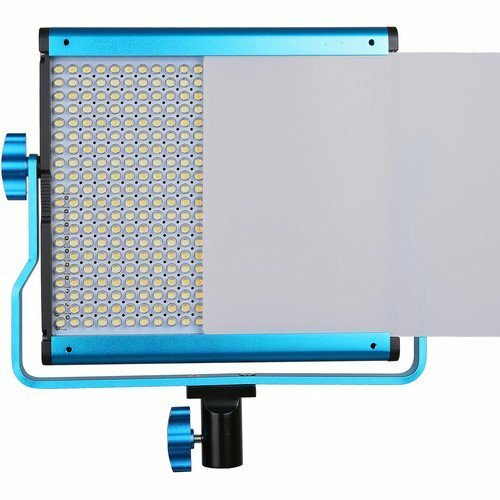 The panel also maintains a CRI of 96 indicating a precise rendering of color and is 0-100% dimmable with negligible color shift. 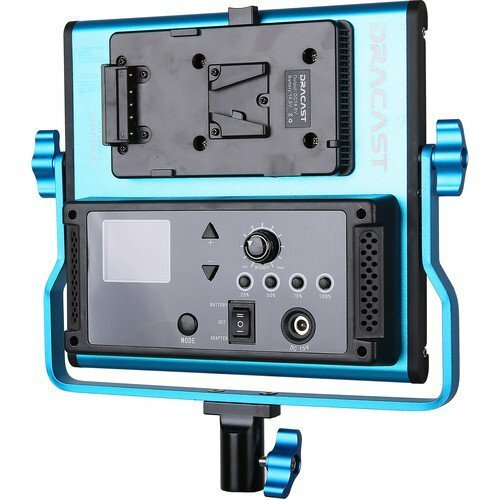 One of the light’s enhancements is wireless Multi-Light Control Capability whereby you can make color and dimming adjustments to a single master light and other lights in a group will follow suit. 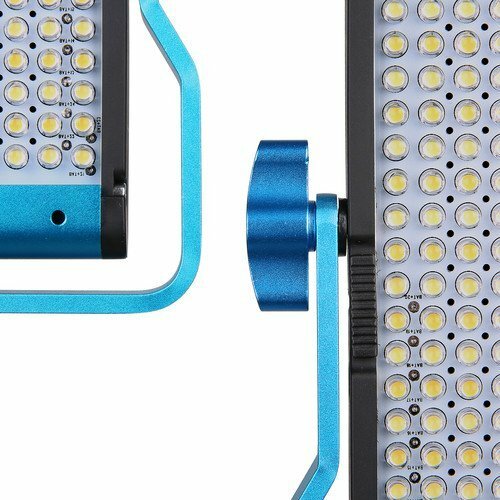 The (LED) also has both color and light intensity presets to make it easy to return to previously used settings. The low electrical draw of just 29W means a timely return on your investment. 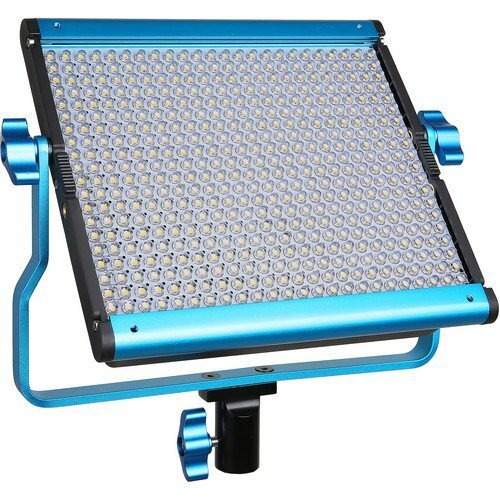 The durable aluminum frame is supported by a sturdy, U-shaped yoke with locking knobs on each side and a standard 5/8″ receiver. 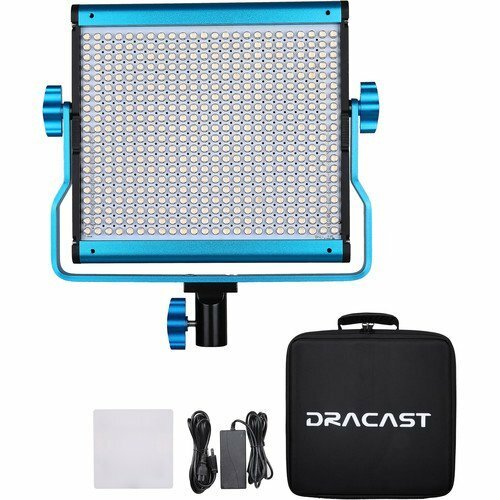 The LED500 can be used worldwide, powered by the included 100-240 VAC adapter or by optional V-mount batteries. A carry case is included.